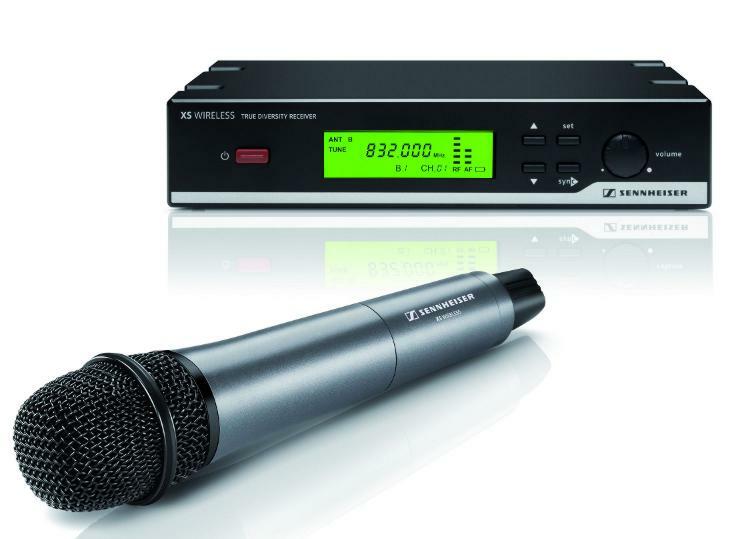 At Winter NAMM show 2012 in Anaheim, Sennheiser unveiled its brand-new XS Wireless Series which also will be highlighted at Prolight+Sound 2012, Stand 6.1C10A . Designed for users who want to go wireless easiest possible, this entry-level series offers complete sets with sturdy units, simple operation and high quality sound. The transmitters have a battery life of up to 10 hours, while a switching bandwidth of up to 24 MHz allows for flexibility in the choice of frequencies. The series is comprised of two vocal sets, an instrument system and a presentation sets with clip-on microphone or a headset-microphone. The instrument system of the series	XS Wireless includes two systems for vocalists and one instrument set for guitarists. Vocalists can choose between a handheld with a super-cardioid condenser capsule and one that includes a genuine dynamic e 835 capsule. “The XSW 35 system takes the assertive sound of the cardioid e 835 to new user groups,” added Martin Fischer. The Presentation Set includes an omni-directional clip-on microphone. Also available is a system with a cardioid headmicrophone. For installed sound applications and presentations, users can choose between systems with a handheld transmitter or a bodypack transmitter with either a head-worn microphone or an unobtrusive clip-on microphone. Mute buttons on the handheld and the bodypack ensure that speakers are in control of the transmission.